The BBC Proms: when's it on? The First Night of the Proms gets the 2018 season underway on Friday, July 13 at 8.15pm BST. 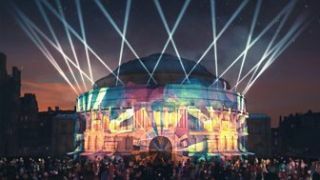 The eight-week extravaganza runs to Saturday, September 8, with the key events taking place at London's famous Royal Albert Hall. Few musical events are more iconic than The Proms and if you're into classical music, it's simply an unmissable fixture in the calendar. That's why we're here to help you stream the concerts live online from wherever you may be. The 90 performances over the eight week season are packed with stars from across the world, with Kirill Petrenko with the Berliner Philharmoniker, Daniel Barenboim with the West–Eastern Divan Orchestra and pianist Yuja Wang among those that catch the eye. This year's Proms will be celebrating a number of events that took place 100 years ago, including a celebration of what would be the 100th birthday of Leonard Bernstein (composer of the music of Peter Pan and West Side Story), which will see a Proms debut for the Baltimore Symphony Orchestra under Marin Alsop, a former student of Bernstein. Keep reading to discover how you can watch the BBC Proms at home, on the move, or even abroad, thanks to the free live stream options below. As always, the BBC will be the broadcaster for the Proms, meaning you can watch the concerts on your television or via BBC iPlayer if you're looking to stream from your mobile or tablet. Coverage – both live and highlights – will be shown on BBC One, Two, Four and online throughout the eight-week season. You can also get the iPlayer app for the Amazon Fire TV Stick, Apple TV, games consoles and other smart devices. If you're outside the UK, a good alternative is watching via TVPlayer.com. Your location may initially block you from accessing the video, but a simple download and activation of a VPN service bypasses this issue. Full details below. Watching the BBC Proms 2018 in the UK is unsurprisingly simple, but if you're away on holidays or living abroad and want to watch the creme-de-la-creme of classical music from the Royal Albert Hall, you can still do so thanks to a VPN. The service is free and the best legal way to stream every minute of The Proms coverage. Where can I watch The Proms using a VPN? A VPN will enable you to stream the BBC Proms from literally anywhere. So that obviously includes: the US, Spain, France, Greece, Italy, Turkey, Japan, Poland, Germany, Mexico, New Zealand, Czech Republic, Ireland, Austria, Thailand, Canada, Australia, Denmark, China, Russia, South Africa, Argentina, Singapore and more!